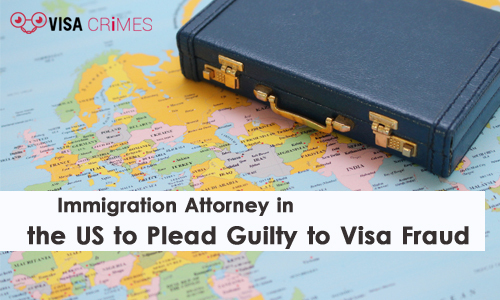 According to announcements made by federal prosecutors on Friday, an immigration attorney based in Huntington Beach, has agreed to plead guilty to a fraudulent visa scheme. 53-year-old Mihae Park of Laguna Beach has disclosed her intentions to plead guilty to a visa crime and filing falsified tax returns. This info was revealed by an official at the US Attorney’s Office, Ciaran McEvoy. Park’s plea agreement was filed on Wednesday, and she has been scheduled to make her first appearance in court in the 14th of January, 2019. The State Bar of California has also revealed that Park’s status as an attorney in the US is currently not active. Park acknowledged filing a minimum of 25 work visa petitions for immigrants and non-immigrants as well, for a period running from year 2,000 to last year which has some falsified information in them including social security numbers of workers and false contacts of employers. The plea agreement also reveals that in one of the cases in 2013, Park filed petitions for work visas for two people whom she claimed worked as teachers in an educational company in Orange County. She also confessed to filing bogus tax returns running from 2009 through 2014. By this, she did not report $763,418 in receipts. McEvoy also revealed that after investigators worked on her case, they discovered that she made $292,432 from the fraudulent visa jobs she did. She also got a 2015 Volkswagen GTI and a 2012 model of Ferrari California for herself from the money she made from her shady visa deals. Dean Steward, her attorney, said Park is remorseful and regrets everything she did. She’s also doing everything possible to make amends. She gave up the license that empowers her to practice as an attorney, voluntarily.